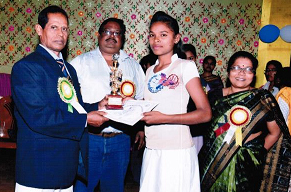 Awarded Gold medal in 100mt and 200mt race in the Inter Steel State Junior Athletic Meet -2013. 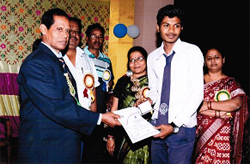 He has been awarded Gold medal in 100mt and 200mt race in the Inter Steel State Senior Athletic Meet -2015 and Inter Steel State Junior Athletic Meet -2016. 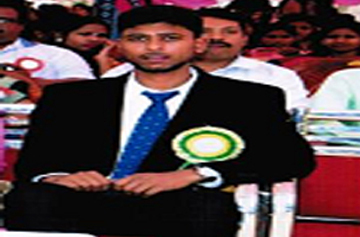 He has been awarded participation certificate for participating as player in 27th Federation Cup Throw ball Championship 2016-17 and 26th Junior National Throwball championship 2015-16 by Throw ball Association of India.